Believing that art teachers need specific models to transform their classroom practice to include the concept and practice of visual culture, the author offers many examples drawn from available literature as well as his own teaching experience. Many cases of classroom curriculum dealing with popular culture topics are introduced, along with what teachers report as benefits. The author then describes one aspect of his own evolution as a teacher of K-12 art teacher preparation courses in the United States that introduce practical activities related to the superordinate structure of visual culture, which is rhizomatic. Amburgy, P. M. (2010). Diversity, pedagogy and visual culture. Art Education, 64(50), 6-11. Bae, M. (2011). Interrogating girl power: Girlhood, popular media and postfeminism. Visual Arts Research, 37(2), 28-40. Ballengee-Morris, C., & Sanders, J. H. (2009). Culture, identity, representation: The economic policies of cultural heritage. International Journal of Education Through Art, 5(2&3), 129-142. Baxter, K. (2012). The role of family snapshots in teaching art history within a dialogic pedagogy. Art Education, 65(1), 11- 19. Bey, S. (2012). Engaging ‘gangland’ visual culture: Memorializing Beltzhoover’s victim of violence. Studies in Art Education, 53(2), 94-111. Briggs, J. (2013). Eric Garcia: Warrior with a pen. Art Education,66(6), 47-54. Carpenter, S., & Tavin, K. (Ed.) (2012). Special issue: The Graphic novel and art education. Visual Arts Research, 38(1). Carpenter, B. S. & Cifuentes, L. (2011). Visual culture and literacy online: Image galleries as sites of learning. Art Education, 64(40, 33-40. Carpenter, B. S., & Taylor, P. G. (2003). Racing thoughts: Altering our ways of knowing and being through computer hypertext. Studies in Art Education, 45(1), 40-55. Chang, E., Lim, M., & Kim, M. (2012). Three approaches to teaching art methods courses: Child art, visual culture, and issues based art education. Art Education, 65(3), 17-24. Christopoulou, M. (2010). Telenovelas as art curriculum content. Art Education, 63(4), 19-24. Christopoulou, M. (2011). Exploring shop window displays. Art Education, 64(3), 25-32. Chung, S. K. (2013). Critical visual literacy. The International Journal of Arts Education, 11(2), 1-36. Chung, Y. L. (2011). Group creativity in the popular visual culture of Asian ethnic groups. A model for art education. Australian Art Education, 34(2), 119-136. Danker, S. (2014). Brand: Identity, image, and relationships. Art Education, 67(1), 41-51. Derby, J. (2013). The truthiness about The Colbert Report. Art Education,66(6), 40-45. Duncum, P. (2007) What we are learning about teaching popular visual culture. In J. A. Park (Ed. ), Art education as critical inquiry (pp. 216-233). Seoul, Korea: Mijinsa. Duncum, P. (2009). Visual culture in art education, Circa 2009. Visual Arts Research, 35(1), 64-75. Duncum, P. (2013). Creativity as conversation in the interactive audience culture of YouTube. Visual Inquiry: Learning and Teaching, 2(2), 115-125. Gill, D. V. (2009). Usefulness of video game experience for student learning and creating digital 3-D. Visual Arts Research, 35(2), 109-121. Deleuze, G., & Guattari, F. (1987). A thousand plateaus. (B. Massumi, Trans.). Minneapolis, MN: University of Minnesota Press. Hermann, R. (2006). In the classroom with ducks, swans, and elementary education majors. In P. Duncum (Ed. ), Visual Culture in the Art Class: Case Studies (pp.142-150). Reston, VA: National Art Education Association. Ivashkevich, (2011). Girl power: Postmodern girlhood lived and represented. Visual Arts Research, 37(2), 14-27. Lu, L. (2010). Teaching 21st century art education in a virtual age: Art Café@Second Life. Art Education, 63(6), 19-24. Madrid, M. (2012). Paradox in a/r/tography: Collective short animated film making for social inclusion. Visual Arts Research, 38(2), 58-68. Manifold, M. (2013). Enchanting tales and imagic stories: The educational benefits of fan art making. Art Education,66(6), 12-19. Martinez, U. (2012). Cultur(ally) jammed: Culture jams as a form of culturally responsive teaching. Art Education, 65(5), 12-17. Seidler, C. O. (2011). Fighting disability stereotypes with comics: “I cannot see you but I know you are staring at me. Art Education, 64(6), 20-23. Shin, R. (2010), Why does the Buddha laugh? Exploring ethnic visual culture. Art Education, 63(3), 33-39. Sweeny, R. W. (2009). There’s no “I” in YouTube: Social media, networked identity and art education. 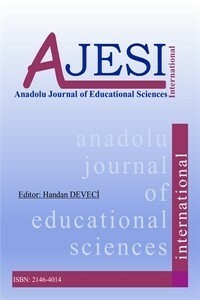 International Journal of Education Through Art, 5(2&3), 201-212. Tavin, K. (2002). Engaging advertisements: Looking for meaning in and through art education. Visual Arts Research,28(2), 38-47. Taylor, P. & Carpenter, S. (2002). Inventive linking: Teaching and learning with computer hypertext. Art Education, 55(4), 6-11. Taylor, P. (2000). Madonna and hypertext: Liberatory learning in art education. Studies in Art Education, 41(4), 376-389. Wilson, M. (2000). The text, the intertext, and the hypertext: The story. Proceedings of the Art Education and Visual Culture Conference (pp. 89-124). Taipei Municipal Teachers College, Taipei, Taiwan. Williams, R. (1977). Marxism and literature. Oxford, England: Oxford University Press.